At Smith, students are guaranteed to meet with a teacher for a 20-minute small group reading lesson every single day. This is made possible by our literacy intervention team that “floods” into classrooms to teach small groups during literacy. If a student is not yet a proficient reader, we’re committed to doing whatever it takes to get him or her there– this includes 40-120 minutes of a small group each day, depending on the unique needs of the child. Our kindergarten-5th grade students learn to read and write using a curriculum resource called Wonders (English classrooms) or Maravillas (the Spanish equivalent in ELA-S classrooms). Wonders, a comprehensive K-6 ELA/ELD program, is designed to meet the challenges of today’s classroom and reach all learners. A wealth of research-based print and digital resources provide unmatched support for building strong literacy foundations, accessing complex texts, engaging in collaborative conversations, and writing to sources. In the primary grades (ECE-2nd), teachers also deliver explicit phonics instruction using the resource called FUNdations (in English classrooms) and Estrellita (in Spanish classrooms). At Smith, we teach mathematics in a format that provides students with explicit, direct instruction, as well as ample opportunities to practice and discover math for themselves! All students participate in a math mini-lesson for 30 minutes at the outset of each lesson. Next, they rotate through a serious of rotations that are tailored to meet students’ individual needs and levels. Each student also meets in a small group with the teacher daily for 20 minutes. This is all possible because we have a 90 minute math block, math interventionists to pull small groups, and the support of paraprofessionals and coteachers. In all classed kindergarten-5th grade, Smith uses the DPS supported Bridges in Mathematics as our primary resource. 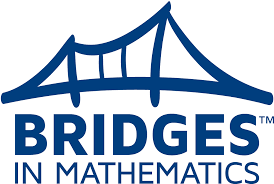 Bridges in Mathematics is a comprehensive K–5 curriculum that equips teachers to fully implement the Common Core State Standards for Mathematics in a manner that is rigorous, coherent, engaging, and accessible to all learners. The curriculum focuses on developing students’ deep understandings of mathematical concepts, proficiency with key skills, and ability to solve complex and novel problems. Bridges blends direct instruction, structured investigation, and open exploration. It taps into the intelligence and strengths of all students by presenting material that is as linguistically, visually, and kinesthetically rich as it is mathematically powerful. A responsive computer program, STMath, is utilized at all levels to provide additional practice, reinforcement and extension activities for all learners each week!